Is the full effect of the financial crisis still to be felt in professional lines (PI, D&O, E&O) claims? A convincing majority (63%) believe the full impact of claims related to the financial crisis has still to work through the system. In professional indemnity (PI), for example, notifications have come thick and fast from banks looking at defaults on their mortgage books and attempting to pin the problem on surveyors and valuers. Although not every notification will result in a claim, some are likely to have sharp enough teeth to take a chunk out of reserves. A minority (21%) feel confident that the worst is over, while 16% remain uncertain. 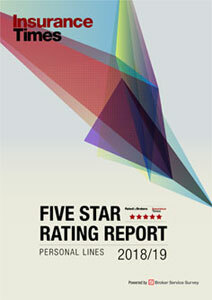 How have professional lines (PI, D&O, E&O) premiums changed in the year to the end of April 2011? Nearly half (48%) of respondents say there has been little change in rates over the past year, while among those that say there has, opinion is split as to whether they hardened (23%) or softened (29%). These opposing views reflect different experiences in different markets. Overcapacity has dogged D&O for around nine years, since the brief hardening that followed the dotcom bust at the turn of the millennium. In financial lines, the Madoff effect also drove the market briefly to harden. However, prices have been tumbling as capacity returned and new insurers entered. In surveyors’ and valuers’ PI, meanwhile, prices are now so high that some practitioners are unable to afford cover. Will online aggregators make inroads into professional lines (PI, D&O, E&O)? Around half (53%) of those surveyed feel no immediate challenge from online aggregators encroaching onto their business, although they are open to the possibility that this threat could become more real in years to come. The other half of respondents was split almost equally, with the larger minority (26%) expecting no such challenge to materialise. A trend among comments made in the survey (see right) was that clients have limited understanding of the risks they face and therefore the level of cover they need. Online commoditisation is seen as playing a part in seducing clients into buying the cheapest rather than the best product, particularly in D&O. Brokers confident in their product knowledge feel unthreatened by online aggregators. That said, 23% see signs of an online shift happening this year, perhaps with unhappy consequences for clients who, when making a claim, may find they lack adequate cover. 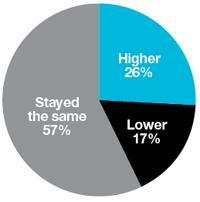 Have D&O business acquisition costs changed over the past year? 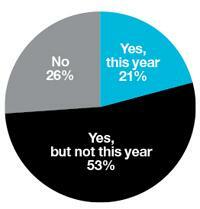 On the topic of sourcing business, 26% claim that costs have risen within the past year. 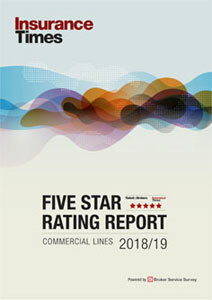 The response from 57% of those surveyed that business acquisition costs remain unchanged year-on-year is surprising given that educating within D&O’s potential client base is seen as a challenge. It suggests that attempting to acquire significant new business in this market may be a low priority. Those citing lower business acquisition costs (17%) could be enjoying increased activity with existing clients, while improved efficiencies might also explain the enviable response from this minority. Does D&O represent a growth opportunity for brokers? 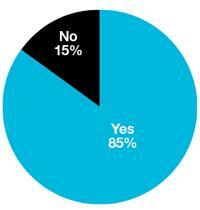 An overwhelming majority (85%) see D&O as a growth market. At the Biba conference on 11 May, insurers claimed that D&O policies are becoming increasingly vital. However, while penetration is 80% among larger companies, for SME owners the same percentage fail to buy D&O cover. Will capacity exit solicitors’ PI this year owing to delays in reform of the ARP? 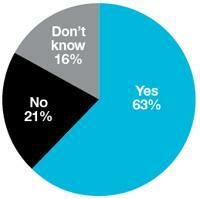 The biggest group (47%) were not sure whether slow-moving reforms would have any effect on the market. 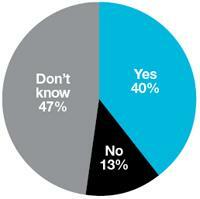 But 40% do expect that the problems will put off insurers. This is most likely because ARP cash calls still being made for prior years are eating into profitability, and perhaps because new entrants with no legacy claims are skewing prices. Only 13% expected the current level of capacity to stay. Should the single solicitors’ PI renewal date of 1 October be scrapped? 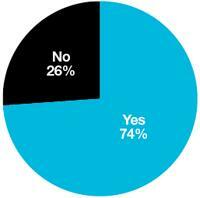 Most in the market (74%) want the all-at-once nature of the solicitors’ PI market to change. The Solicitors Regulation Authority is committed to this reform. To view our image of the trending topics affecting brokers, click on the image, right.